While filing for bankruptcy can be an effective way for borrowers to get many of their outstanding debts discharged, there are some debts that will not be discharged by these proceedings. In other words, borrowers will still be responsible for paying back some specific types of debt even if they successfully file for bankruptcy. Although there are non-dischargeable debts that will persist through bankruptcy, filing for bankruptcy can be the key to financial recovery and debt relief. Student loan debt – Although borrowers may be able to get the interest on student loan debt discharged by filing for bankruptcy, in most cases, the principal will remain, and borrowers will continue to have to repay this debt through and after bankruptcy. Court-ordered payments – Child support payments, spousal support payments and other court-ordered payments will not go away simply because a person has filed for bankruptcy. In fact, a Chapter 13 repayment plan must include plans for repaying this type of debt in full. Restitution fees associated with criminal cases – When people have been convicted of DUI, fraud or any crime and are ordered by the court to pay restitution fees as part of their sentence, these fees cannot be discharged through bankruptcy. Additionally, court fines for even minor infractions like, for instance, traffic ticket fines, cannot be discharged with a bankruptcy case. Some tax debt – Debt associated with recent income taxes will also persist through bankruptcy and, like other non-dischargeable debt, must be accounted for in a person’s Chapter 13 repayment plan. Filing for bankruptcy will discharge other debt, like mortgage debt, car loans, credit card debt, medical bill debt, etc. 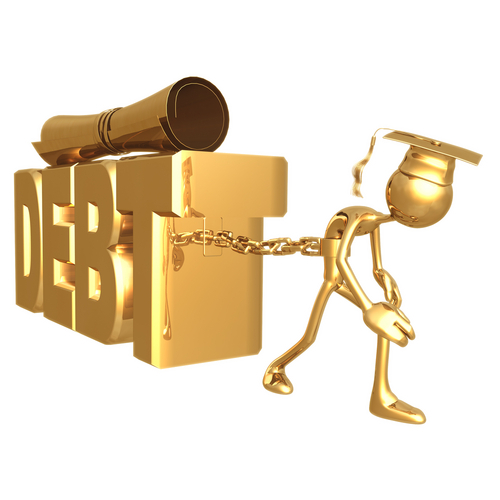 Getting such other debt discharge can free up crucial funds for repaying the non-dischargeable debt. Developing a monthly budget and sticking to it can be an effective way to pay down (and eventually pay off) non-dischargeable debt after bankruptcy. In fact, this type of diligence can be essential to helping borrowers who have filed for bankruptcy get back on their feet financially. If you are buried in debt or are facing serious financial crisis, Denver Bankruptcy Lawyer Arthur Lindquist-Kleissler can help you figure out your best options for debt relief. For more than 34 years, Mr. Lindquist-Kleissler and the other legal professionals at Lindquist-Kleissler & Company, LLC have been providing both individuals and businesses with the highest quality of legal services when it comes to debt relief and. Regardless of the complexity of the case, Mr. Lindquist-Kleissler can always be trusted to maximize utilization of Colorado Bankruptcy Law to effectively guide his clients through bankruptcy and help them resolve their financial issues as favorably and efficiently as possible. For a free 30-minute consult to learn more about your options for debt relief, contact us by calling (303) 691-9774, or email us using the form on this page. You will pay nothing up front to obtain trusted, professional advice regarding your case and your options.